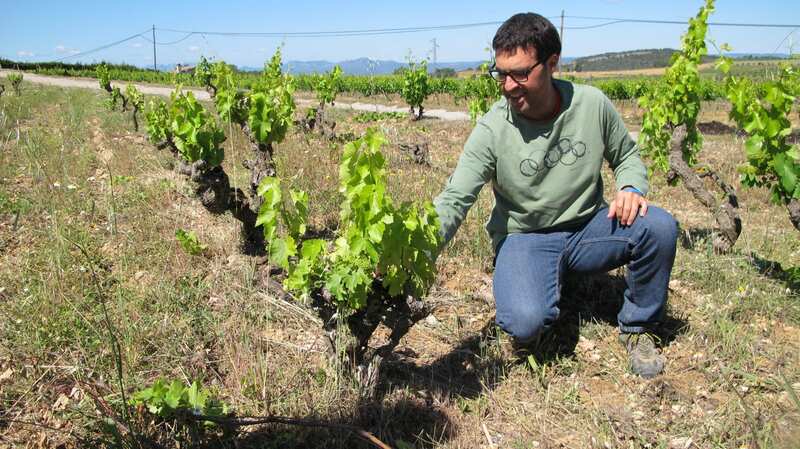 Miloca Garnatxa 2017 red wine (unfiltered, unclarified and low in sulphites) started as a new wine project in common with Josep and Nuria (the winemakers). They located in Marça, Montsant. They grow extremely healthy grapes, grown organically, and from specific wild owned old vineyards, in total of 23 hectares. We wanted to have in our portfolio an unoaked Garnacha that expresses the fully fruity potential of the grape. Then, we shared the idea and they welcomed it with passion, as they love to work that way. Therefore, we agreed to make a limited edition of 600 bottles. 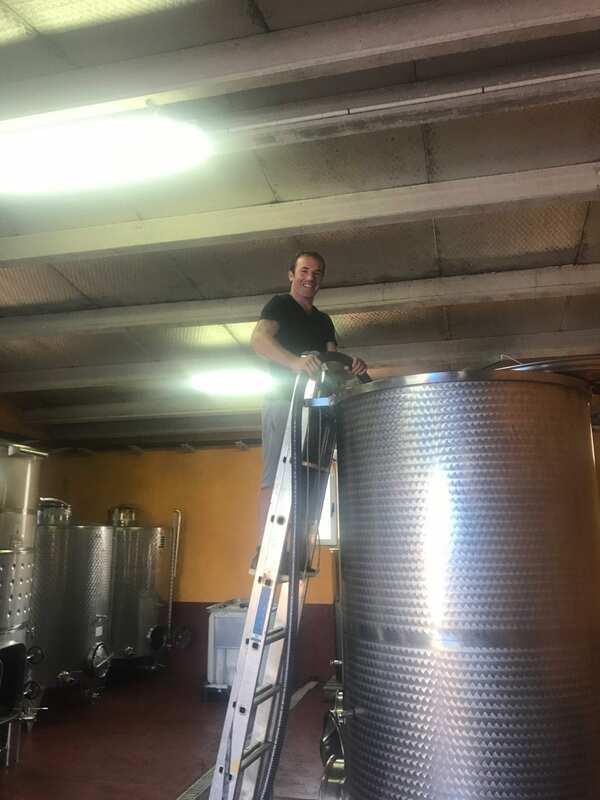 Diego spent a week harvesting the 2017’s vintage. He spent there an unforgeatable experience, picking grapes by hand with the welcoming Vendrell family and the their team from Romania. 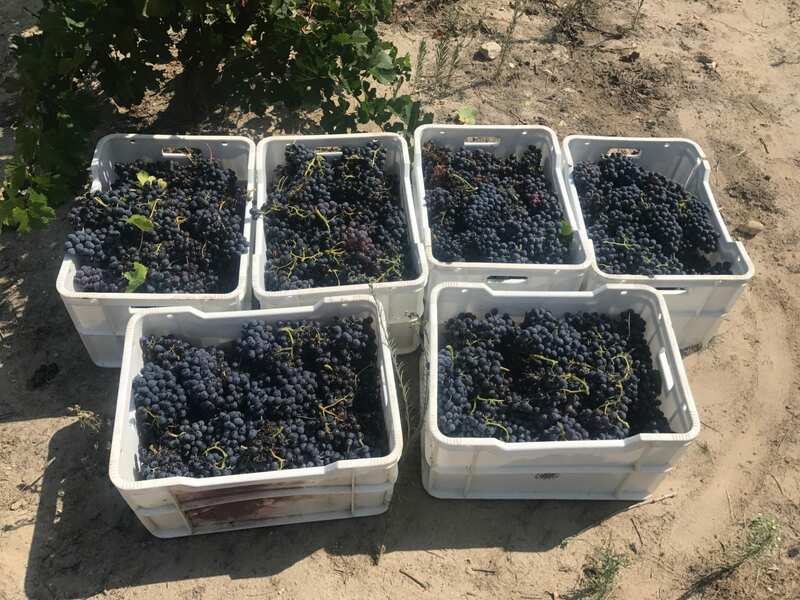 The selection of the grapes in the vineyard was pretty easy as the bunches were so healthy and also thanks to a dry weather. 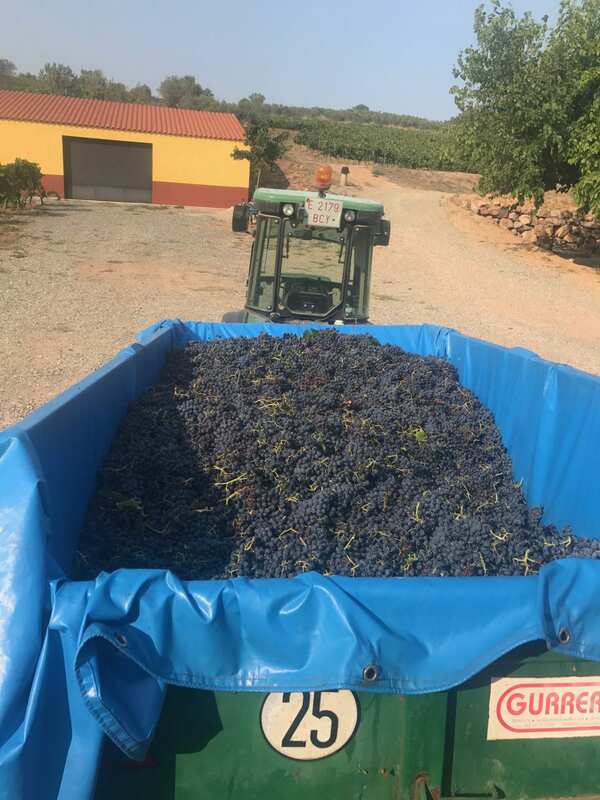 After the harvest, we entered the grapes at the winery and after destemming the grapes, the must went to the tank. The fermentation started spontaneous and Nuria and I spilled the must over the cap once a day. Miloca means a specific Owl from that region. This name refers to those animals that live in the Miloquera mountains, very close to the vineyards, located in Marçá, DO Monsant. 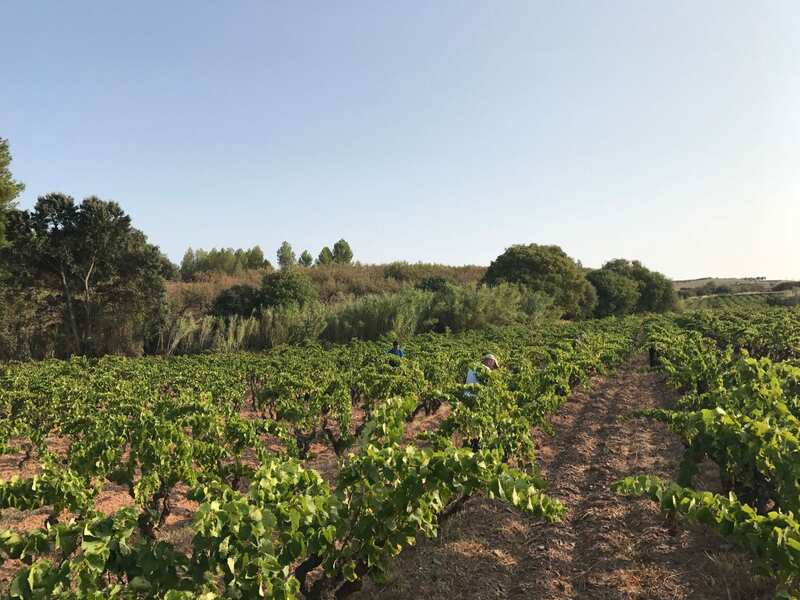 This is a 100% Garnacha organic red wine and harvested by hand exclusively from the 15 to 30 years two old vineyards Mas d’ En Crusat and Pedrenyeres. After grapes are destemmed, spontaneous fermentation takes place with indigenous yeast. The wine is left four months in the tank. Then is bottled, unfiltered, unclarified and less than 20 Mg/L total sulphites. Concentrated, complex, balanced and jammy. Limited edition of 600 bottles.